HostSEO provides Fully Dedicated Resource based Alpha Master Reseller hosting with latest cPanel/WHM and WHMReseller/Zamfoo/WHMAMP Module. Alpha reseller hosting is one step up from Master Reseller Hosting. As you probably guessed by now, this means you will be able to create: Shared, Reseller, and Master Reseller hosting accounts, within your resource allocations. If you are looking to start making an income by selling hosting, you should highly consider an Alpha Reseller to diversify your offerings. With HostSEO Managed Alpha Reseller solutions, Dedicated Sys. Admins help you secure, maintain and optimize your hosting environment so your clients can devote its efforts to the applications hosted there. If you become dissatisfied with our services at any point within the first 30 days of holding an active account, we will issue a full refund of your money unless otherwise specified at, or prior to, the time of purchase. Only few hosting companies out there who are offering Alpha Master Reseller. Actually they are overselling their server resources and users are suffering with slow server performance, downtime and lack of security. Here we only host up to 8~14 Alpha Reseller Clients in every 8~16 Core CPU & 16~64 GB Ram based server. Instead of selling VPS to the hosting business providers we offer tension free Fully Managed Dedicated Hosting Solution with our Alpha Master Reseller Plan where you will get more dedicated resources than a VPS. You can create unlimited Master Reseller Account / Reseller Account / cPanel Account from it. Use Alpha Master Reseller as you owned your own server and boost up your Business. N.B. If you would like to know if some more specific feature is included, please Contact Us. 100% Risk Free Trial If you become dissatisfied with our services at any point within the first 30 days of holding an active account, we will issue a full refund of your money unless otherwise specified at, or prior to, the time of purchase. Branded cPanel + WHM cPanel allows you to monitor disk space and bandwidth used as well as create emails, sub domains, mysql databases, install scripts and much more over user friendly interface. Softaculous Auto Installer Softaculous is an auto installer that allows for one click installs of over 450 scripts. It also provides frequent updates to current scripts. Robust Apache Server Our Inhouse Developed Robust Apache Server is up to 3 times faster than regular Apache Web Server, processes PHP 20% faster, and is 3 times faster at processing SSL. Features like HTTP/2, Brotli and GZip already included. If your site works on an Apache host it will work even better and faster on our Robust Apache Platform! Site Builder Instant access to our state of the art drag and drop website editor. Choose from thousands of professional looking templates. With HostSEO you will get much more then just a simple web hosting. Over our hosting you can manage your website, store & share data, have secure access to your email anywhere at anytime from any device, automated search engine submission and much more! These aren’t shared servers. We’ve optimized everything for your business class web hosting experience. 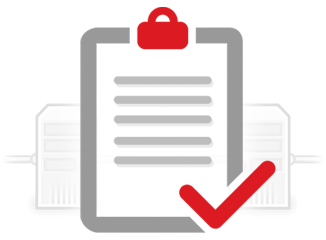 Need help moving your existing reseller account to our servers? We’ve got you covered. We use Top Quality HP servers, super-fast and secure RAID10 Protected SSD Cached Storage Setup and fully owned network. You’re backed by 24/7 on-site support. Our award-winning support team will resolve any kind of issue within minimum time limit. 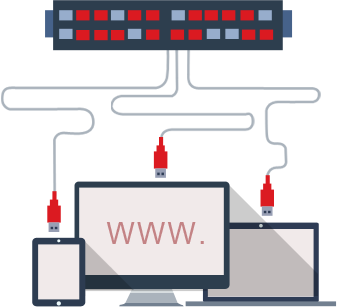 Our automated security layer protects your website being hijacked, ddos’ed, prevent email spam and more. Clients, Support, Service, Orders Or, Coupons can all be managed within a few clicks with free billing management system.